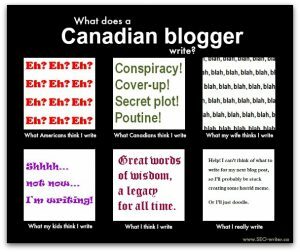 Canadians need to write clearer, so that readers understand what they write. This guide from the Alberta government’s education ministry can help. Canadians speak in plain language. But they often write in…well…convoluted, difficult to read language. This is not unique to Canada, by the way. The Canada.ca content style guide can help. 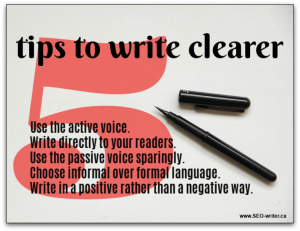 It gives a lot of great advice on how to write clearer, easier-to-read text. 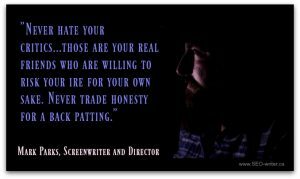 Ottawa-based screenwriter and director Mark Parks talks with THGM about writing, critics and film making. Lauralee, my younger daughter, made her screen debut last month at Ottawa’s venerable Mayfair Theatre in Dead Air, a horror short that was part of the annual Monster Pool anthology. Running 4:40, Dead Air is one of seven invited films, joined by another 12 at the “community screening”. What my husband/wife thinks I do. What somebody else thinks I do.